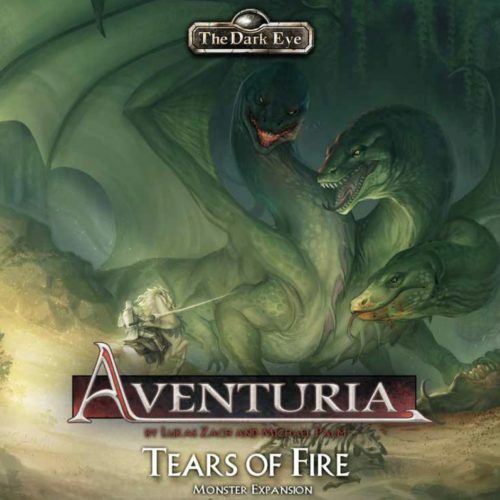 The third expansion for the Aventuria Adventure Card Game. 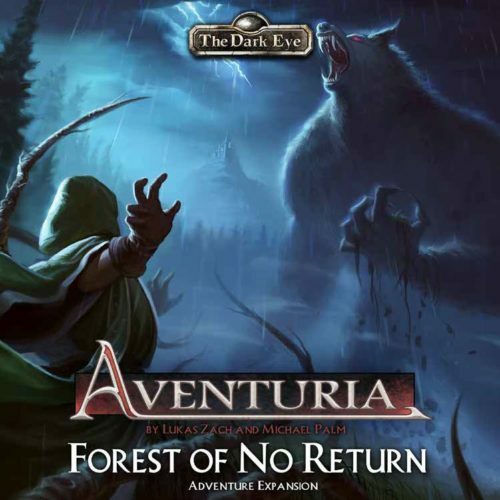 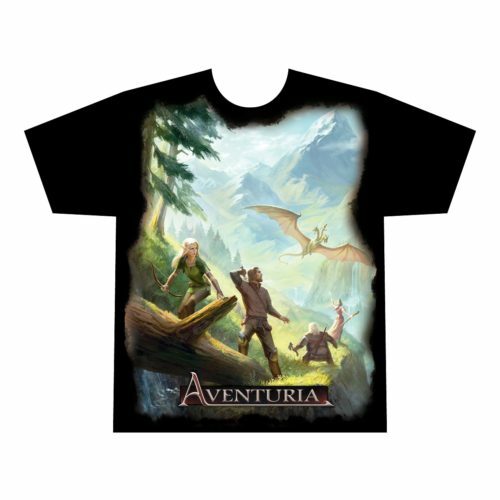 The heroes of Aventuria travel to the Bornland, to Northern Aventuria, into the Horas Realm, and even to exotic Uthuria to solve mysterious criminal cases, fulfill unusual quests, and fight terrifying opponents. During their adventures they have to rely on their wits and perseverance as well as the most important thing a hero of Aventuria can have at his side: his companions. 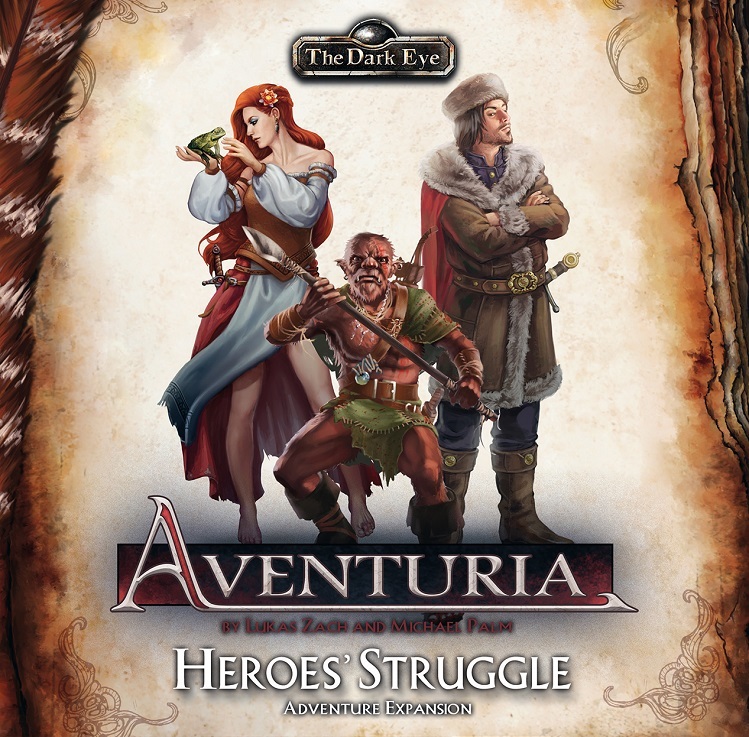 Heroes’ Struggle is an adventure expansion for the Aventuria Card Game. 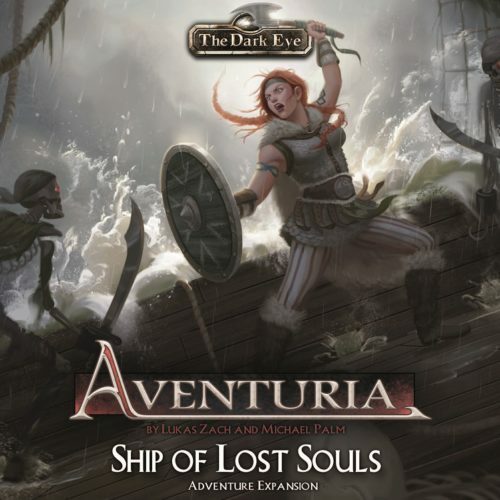 This box contains six varied short adventures and introduces a new hero, Rowena from the Transweal, a Catwitch who uses her spells and abilities in subtle ways to overcome her opposition.